Jacobs Allen’s Bury St Edmunds town centre head office is located at the heart of the town on the first and second floors above Café Rouge, opposite The Corn Exchange. We have been in this beautiful Neo Jacobethan building since 2006. 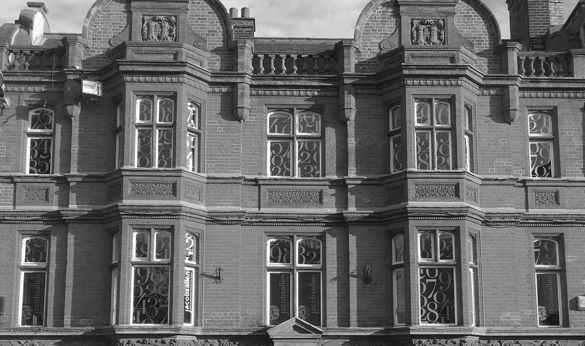 The building was originally designed as offices and opened in 1891 as the Alliance Insurance CO Ltd. We strongly believe that being at such a central location is important in order for us to fully participate in and support the local business community. Bury St Edmunds is a picturesque historic Suffolk market town, steeped in fascinating history, with a thriving local economy. The centre is based around a grid pattern formulated by Abbot Baldwin in around 1080, this area is known today as the medieval grid. The town is host to a variety of attractions, shops and eateries and is under two hours from London.